Could A Change In Business Model Win Designers A Place In The C-Suite? Yves Behar is one of the most successful designers working today. But that success owes a great deal to the novel venture model he created, investing in the clients whom he works for. The change in business model changes how they look at clients. Actually, the traditional consulting model probably works just fine in many contexts. But as Behar points out, the problems facing new businesses have changed. Just a decade ago, entrepreneurs setting out to create companies weren’t usually expected to start their own brands from scratch. Brands were simply too hard and too expensive to create. But since then, expectations have risen as the startup field has grown crowded. It’s not enough to stand out with a single idea–as examples ranging from Mint.com to Jawbone have shown, you’ve got to combine it with a great product, a great UI, and a voice that sets it apart from a litany of competitors. Production values and fine-grained details, which used to be the last things that entrepreneurs would have to worry about, are now vital to their success from the very moment of inception–and they can often be the lure that attracts all-important venture backing as a company grows. Here, Behar is echoing something that the great Dieter Rams told us: Companies who have made their mark on design usually did so because a single designer had an unusually strong relationship with the company’s founder. Rams pointed to his own relationship with Braun’s CEO. Nowadays, of course, the crowning example is Apple, and the symbiotic mind meld that Jony Ive had with Steve Jobs. Behar’s point is that you can’t simply recreate that chemistry in other businesses. There has to be a mechanism that accords the designer a role that fades in and out as they’re hired for projects. They have to have a stake, and the risk that they’re taking should be rewarded. Otherwise, designers can be relegated to the role played by Yves Behar himself. Fuseproject played a seminal role in the creation of the Slingbox–not only did they design the first product, they also named it and branded it. But they were merely consultants, and when the company was sold three years later for $380 million, well, that had to sting a bit. Behar remains good friends with Slingbox’s founder, Blake Krikorian, who expressed regret that Fuseproject’s earnings didn’t reflect their role. Behar, of course, realized that he needed a different way of working instead of constantly churning clients to generate more fees. 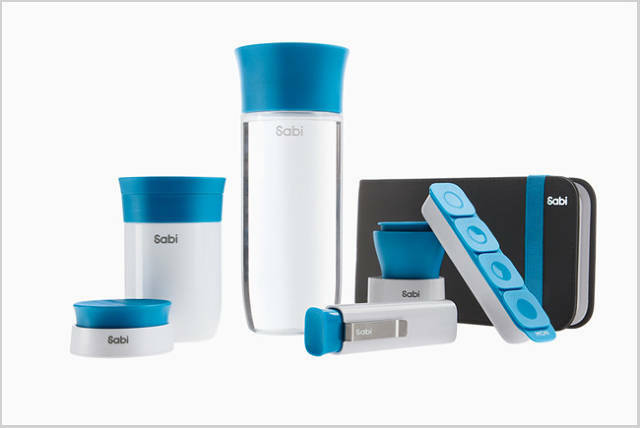 The latest venture: Sabi, a line of ergonomic wares for the aging. At this point, Fuseproject has co-invested with 18 startups. Out of those, he says that there are three or four that haven’t worked out but remain alive. But more than five are throwing off significant cash. In fact, Behar reckons that nearly 60% of Fuseproject’s revenues come from their entrepreneurship model–and 80% of their profits. That sort of track record rivals almost any venture capital fund. The key, Behar says, is that Fuseproject chooses only two or three venture projects per year. And these are chosen not just because the client is eager for design services. The change in business model changes how they look at clients. “We look for companies and situations where we can create a lot of value,” says Behar. Spoken like a true VC.